Seattle will be without J.D. McKissic for the first half of the 2018 season. The Seahawks have placed running back J.D. McKissic on Injured Reserve and claimed linebacker Jermaine Grace off waivers to take his place on the 53-man roster. McKissic suffered a broken foot in practice midway through the preseason and it was initially reported he might only miss 2-4 weeks or so. But now McKissic will have to miss at least eight games. Two players a year who go on IR can return to their team after sitting out eight games. Teams no longer have to declare a player as an early return candidate, however. That means the first game McKissic can play in this season is on Nov. 11 against the Rams in Los Angeles. He can return to practice after six weeks. McKissic was one of five tailbacks on the roster. Seattle now has four, with C.J. Prosise in line to take on the bulk of the team’s third-down/two-minute back role, which was also one of McKissic’s prime responsibilities. Seattle also has fullback Tre Madden on its roster. Grace was waived over the weekend by the Browns. He appears to be added depth at weakside linebacker where K.J. 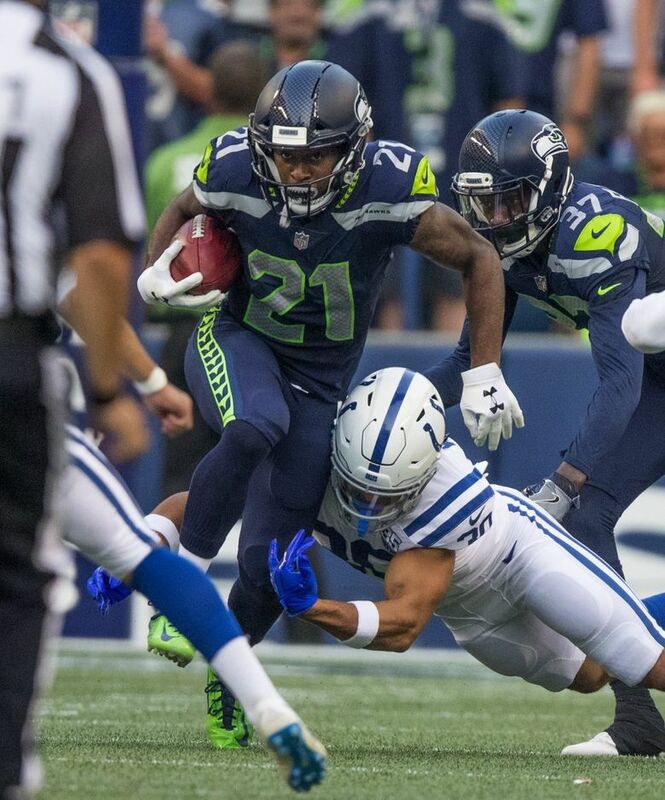 Wright may not be healthy to start the season with Shaquem Griffin likely starting against Denver. Seattle used Maurice Alexander as a backup WLB in the final preseason game against the Raiders but he was released leaving a void at that spot. Grace played in 11 games as a rookie for the Colts and Falcons, making three tackles. Wright is still recovering from arthroscopic knee surgery a week ago Monday. Coach Pete Carroll said the most optimistic outlook was that Wright would miss two weeks, which taken literally would mean he won’t play in Sunday’s season opener at Denver.